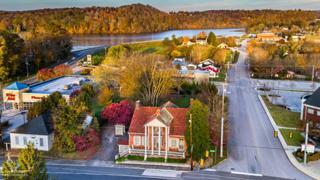 If you are looking for a home that doubles as a local landmark, look no further, because I am waiting for you in East Tennessee. I am a rare example of the Federal style left standing in the state. I was built between 1810 and 1813, so local historians say I’m the oldest surviving building in Roane County. 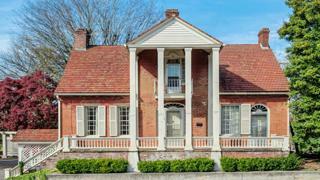 That’s one reason why I’ve been listed on the National Register of Historic Places since 1983, but not the only one: I was built by and home to Colonel Gideon Morgan, a Revolutionary War veteran and an early settler of Tennessee. After Morgan, I sheltered locally important doctors, veterans, and public figures including Major Thomas A. Brown, who fought alongside then-General Andrew Jackson, and Mary Lee Byrd, a well-known Union loyalist during the Civil War. Like my residents were, I am well-known in town. My Flemish bond brick stands out on the main street in scenic small-town Kingston—population just under 6,000—and my arresting facade holds its own against another town landmark, the 1850s courthouse just across the street. I’m only steps from shopping and dining, and you can walk to the scenic Clinch River that winds through the city and enjoy the green spaces on its shores. However, if you ever get tired of quiet living, Knoxville's arts and culture scene is only 35 minutes away, just up Interstate 40. I am move-in ready and in beautiful shape. Many of my original and early features are intact, like my windows and exterior doors—plus, I am lavishly decorated with jack arches and interior mantels typical of the Federal style. I was built to comfort weary travelers, which is easy with over 4,000 square feet of space, four bedrooms, formal living and dining rooms, and two impressive entrances. If guests overwhelm you, I have a spacious attic and basement you can retreat to, perfect for hobbies and activities. See my listing to learn more. 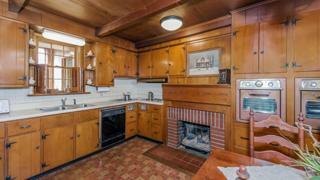 A peek at my stately kitchen and its welcoming wood cabinets. My perfect location in the center of Kingston has you steps from the river.